Having a trial makes it much less stressful on the day but for some people it just isn’t possible to organize a trial – if this is the case we usually try and Skype or call you first so we can have a chat about ideas. If you do book a trial, they generally last around 2-3 hours, sometimes more sometimes less, it will depend on whether you have a clear idea of what you want or if you would like to try a few different styles. When we are discussing your look, it is really important to be realistic about what styles we can achieve with your hair type so we will discuss with you the possibility of needing to get extensions and discussing cuts and colours leading up to the wedding. If you are leaning towards undone, messy or textured styles, look closely at images you like and see whether you might need more layers or softness around the face. Taking all these things into consideration will ensure you can achieve a look you love! On the day of your wedding, your artists will arrive 30 minutes before the first appointment to set up efficiently. You will have been sent a schedule by Cat so your guests and yourself know exactly when they are needed in the hair and make-up chair! This ensures everything runs smoothly. 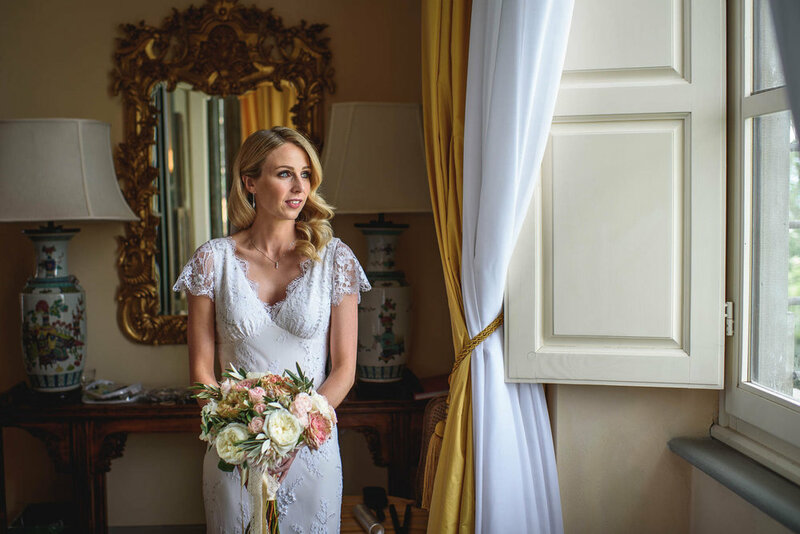 We will stay with you until you are in your dress and final touches are applied, so you know you are looked after right up until you need to leave should you need us for any last minute touch ups. Should you wish to have an artist on stand by to do touch ups throughout the day or change up your look completely that is something we can do and have done many times before. Maybe you want your hair up for the ceremony but to take it down for the party and add a red lip? No problem. If you let us know when you get in touch and we can let you know the additional costings for that.